Great walks from a village on the edge of Dartmoor beleaguered by the Vikings. 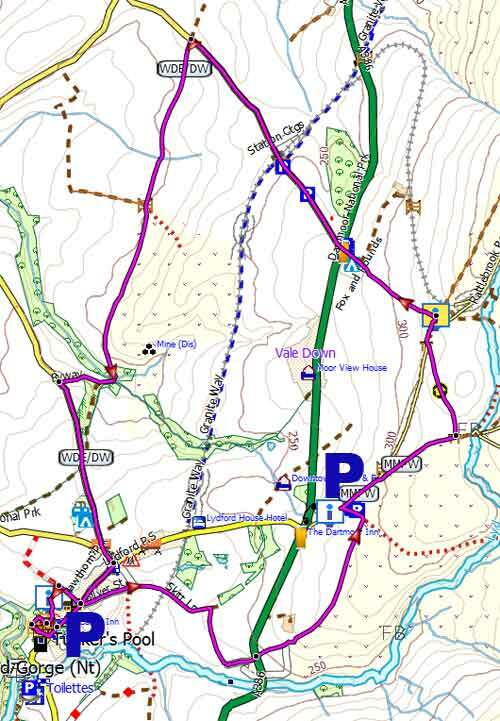 A delightfully varied walk, not too strenuous, around Lydford with spectacular views of Dartmoor. It also passes Bridestowe disused railway station,a spring and wall dating back to the Saxons and a large slab containing a Viking rune,both near the church. This slab commemorates the Viking's unsuccessful siege of Lydford's castle and was given a thousand years later in 1997 by the friends of Scandinavia as a token of goodwill! Apparently,the Lydford citizens were not deterred by the Vikings' display of pomp and might and were able to fend off numerous attacks. 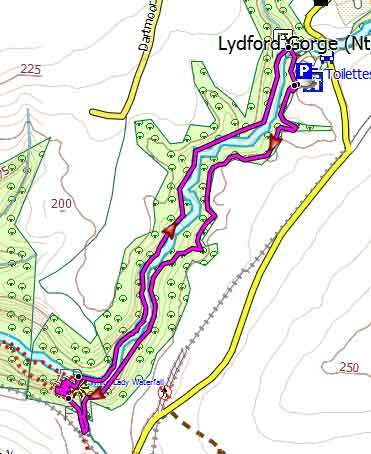 The walk can start at Lydford or car park 2 - see below - and follows bridle paths and public footpaths. There are some muddy stretches out of Lydford ,particularly after heavy rainfall. Fox & Hounds almost half way on junction with A386. 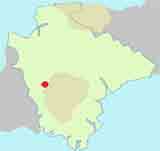 A This walk starts south west of Lydford. From the Car Park turn left and cross disused railway bridge. Turn left onto public footpath and for a short time join the Dartmoor Way. 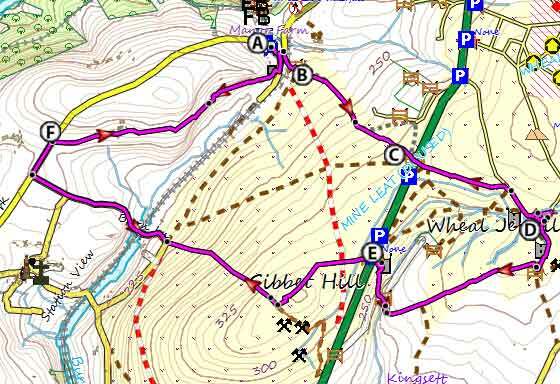 B Continue following a bridle path in a south easterly direction. 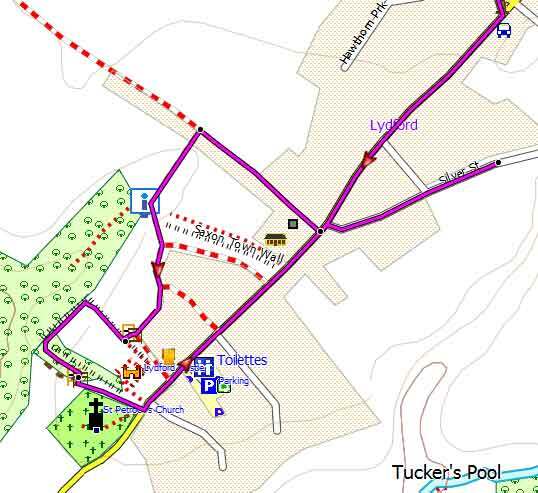 C Cross the A386 to Tavistock and continue along bridle path to Wheal Jewell reservoir. DWheal Jewell reservoir was built to serve Mary Tavy power station. Skirt the reservoir and at the end follow path in westerly direction. 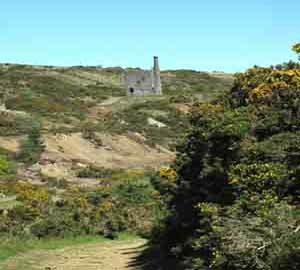 EWheal Betsy,an old lead and copper mine,is a short track away from the main route but well worth a visit. 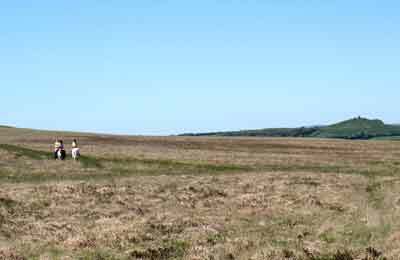 Just before Wheal Betsy take a path left and continue walking East. In the distance you may see Brentor Church perched on a hill - see Mary Tavy Walk. F Take gravel track on right back to the Car Park. A delightful walk to Brent Tor,with its church on top of a hill. A most enjoyable pub walk from Mary Tavy to the Elephant's Nest pub. 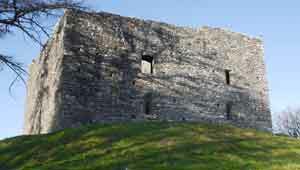 This popular and invigorating walk is NOT free unless you are a member of the National Trust.